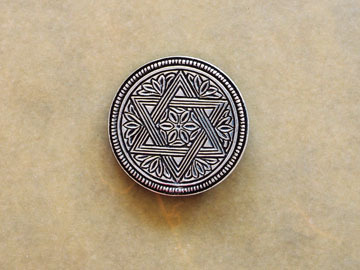 Pendant. Made in the U.S.A. 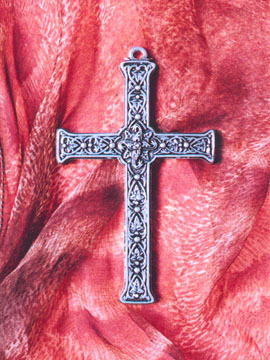 This is a large and heavy multi-layered cross with a timeless appeal. Inspired by a late twelfth century cross from Limoges, France, the geometry of this Medeival style cross suggests the essence of the proportions of a great Gothic cathedral, and reflects the strength and grace of the best Gothic art. A beautiful classic, the Medieval Cross echoes the motif of our Medieval Floral wedding bands. 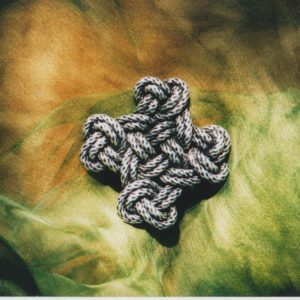 This large cross may be worn as a pendant, or displayed on a wall.